Here’s the fly used. The key is the hook- a 3/0 Gamakatsu circle hook. Thanks for the heads-up. Fixed the setting. Try it now. You have a great website. I have tied and used most of your flies. I like the simplicity of your flies. We have long nose gar here in north east where I fish. I’ve managed to hook only one on a deer hair bug, but they grab my bass bugs quite often. I can see them shaking the bug under water, but when I set the hook I don’t hook them. What fly did you use to catch that gar? Hello Mark. Glad you like the site and flies. The best flies I have used are those tied on circle hooks. 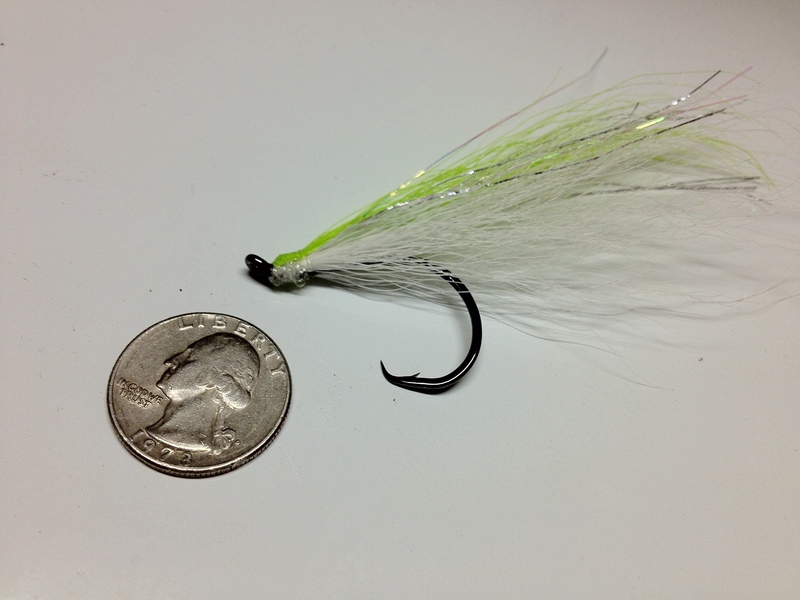 They can be simple like the bucktail gar fly shown above, or more complex like tube flies, flies with trailers, etc. I usually use a Gamkatsu 3/0 inline circle hook for big longnose. The circle hook will lock around the gar’s lower bill and hold tight. Best hook I have found or them.